Home / Dissent NewsWire / Who is Robert Wells and Why Did The FBI Consider Him A National Security Threat? Who is Robert Wells and Why Did The FBI Consider Him A National Security Threat? After Senator John McCain’s glowing tribute to Abraham Lincoln Brigade Veteran Delmer Berg, the Bill of Rights Defense Committee/Defending Dissent Foundation (BORDC/DDF) requested Berg’s Federal Bureau of Investigation (FBI) case file. While McCain had many words of praise for both Berg and the Abraham Lincoln Brigade more generally, Brigade members were notoriously harassed by the FBI and several obituaries of Berg made reference to his own encounters with the Bureau. Robert Wells was the pseudonym used by Delmer Berg and Bob Lindsey when they wrote an August 1959 article in “Political Affairs” magazine entitled “The Agricultural Workers in California.” What is more interesting, is how this file came into being. According to the declassified documents received by BORDC/DDF, the FBI had a policy of making a “probable identification” of the authors of “articles, letters, and/or book reviews” in Political Affairs, the magazine of the Communist Party, USA. If the FBI could not make a probable identification they were to open an investigation to ascertain the identity of the individual in question. The ultimate goal was to see if the individual should be added to the “Security Index,” a list of people considered “national security threats” kept by the FBI until the program was disbanded in 1978. In 1950, Hoover went so far as to ask then President Truman to suspend habeas corpus and place the 12,000 individuals on the Security Index in “custodial detention.” Truman refused to do so. Later that year, Congress overrode Truman’s veto of the McCarran Internal Security Act, which provided for the designation of six detention camps to be used in the event of a national emergency to detain without trial individuals deemed “subversive” by the Attorney General. In the 1960s, several members of the House Un-American Activities Committee seriously suggested deploying this measure against “urban guerrillas” (i.e. participants in the Black Liberation movement) One committee member, Rep. Joe Pool (D-TX), publicly stated that so-called “urban guerrillas” should be placed in “concentration camps for the duration of the war.” What war he was referring to is unclear. While Hoover’s Security Index was carried out separate from the McCarran Act, they both highlight that many in the political establishment once believed that it was appropriate to put individuals into detention camps for their political views. All of this is disturbing, but the documents obtained by BORDC/DDF illustrate the lengths to which the FBI was going willing to go to populate the “Security Index.” To designate individuals as national security threats requiring detention without trial for writing a book review or letter, even if was published by the Communist Party, shows a fanatical zeal for policing dissent. 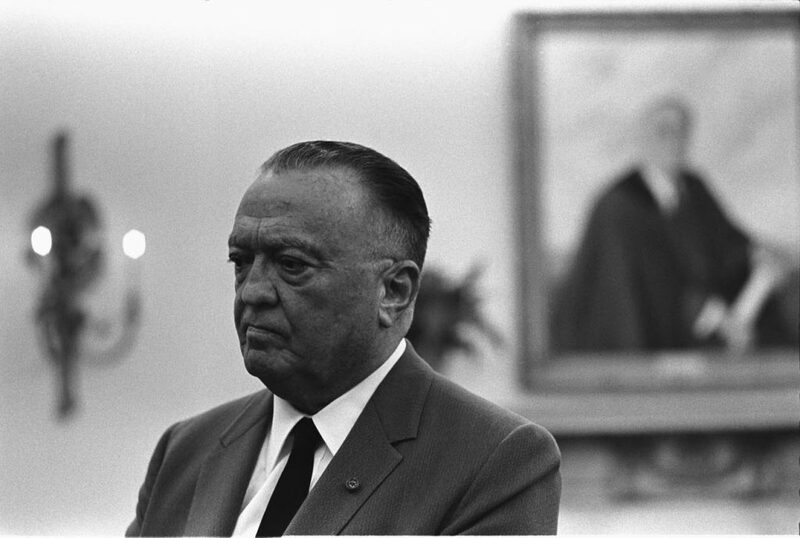 It was 57 years ago the FBI opened its investigation into the fictitious Robert Wells for the grave crime of writing an article about farm workers. The Security Index, McCarran Act, or discussions of detention without trial for domestic subversive are things of the past. Yet, it is important that these events not be forgotten. It would be shameful to allow such grave violations of the Bill of Rights to go unremembered. These events are warnings from the past, and they also provide some insights about the present. The FBI still today is tasked with investigating matters of “national security.” As recent FOIA revelations have shown, the FBI is still viewing dissent as a threat to national security. Using its counterterrorism authority, the FBI has investigated political movements like Occupy Wall Street and the School of Americas Watch. The FBI may have scaled back some of its most extremist tactics in its war on dissent, but it is still the political police. Understanding its long of history of political repressions, makes its clear that episodes like spying on Occupy Wall Street are not isolated incidents, but part of a continuous pattern of behavior on the part of the FBI.